Click here for online Order Form. Author: McComas Taylor, Illustrations by Nicolas Day. 96 pages, 10.5 X 21 cm, a size to fit in shirt or jacket pocket. Produced with perfect binding. Birds seen in the ACT are described briefly together with colour illustrations and icons to indicate status, breeding, seasons when present, habitat and size. There are notes on how to use the field guide, descriptions of habitat types, a map with favourite bird watching locations, tips for better bird watching and a species list of common and scientific names. Illustrations by Betsy Jane Osborne, Christine Payne and Maria Boreham. 103 pages, 11 X 21 cm, a size to fit in shirt or jacket pocket. Produced with perfect binding. What are the trees growing in the park near your house, on Black Mountain or down by the lake? Trees put the bush into the bush capital. This book describes trees indigenous to the Australian Capital Territory. From Snow Gums high in the Brindabellas to Apple Box in the disappearing woodlands and Black Cypress by the Murrumbidgee River, they are all here. 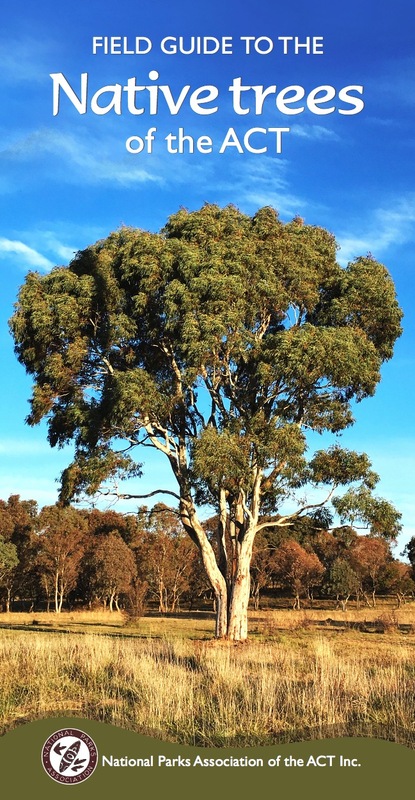 Have you ever wondered at the difference between a Red Gum and a Red Box? This book can tell you. You can identify trees easily with: colour photographs, botanical drawings, location tips, thumbnail maps for less common trees, a key for determining the species. Author Suzi Bond, with Steve Holliday and John Stein. 232 pages, 14.5 x 21 cm, small enough to take with you into the bush. 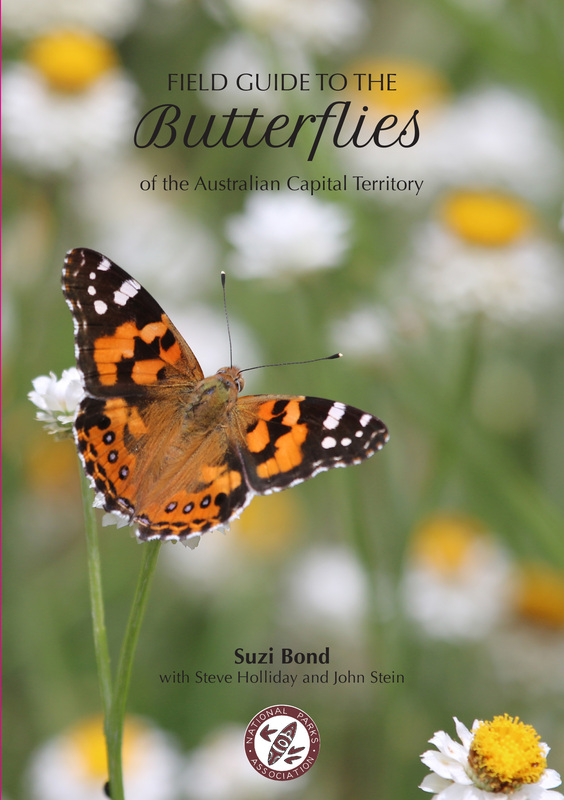 The 87 butterflies known to inhabit or visit the ACT, each stage of their life cycle where known, their size, flight and behaviour, similar species, status and distribution maps, preferred habitat, larval food plants and life cycle are described and illustrated with photographs. This guide will help you differentiate between moths and butterflies and enable you to identify any butterfly species you are likely to see in the ACT and nearby regions. Photographs by Ross Bennett, Don Dencio, David Hunter, Robert Jenkins, Will Osborne and John Wombey. First published 1997, second edition 2011. 88 pages, 15 x 21 cm, produced with perfect binding. The book combines concise descriptions with superb photography to allow accurate identification of all fifty-two reptiles and fifteen frogs found in the region. Additional information describes their distribution and gives an insight into their private and often complex life histories. 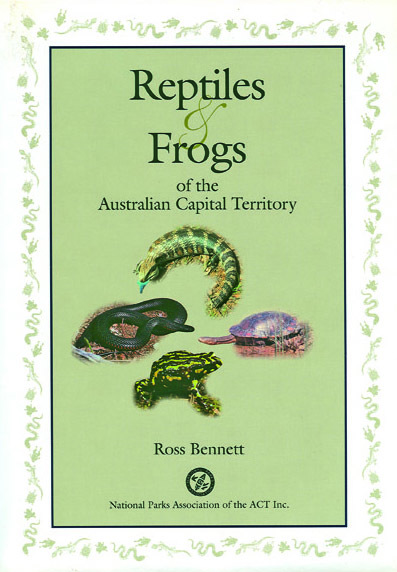 This book is an essential addition to the library, glovebox or backpack of anyone who has an opportunity to explore the world of reptiles and frogs, from Canberra's suburban gardens to the peaks of the Brindabella Ranges. Original drawings by David L. Jones, digital enhancement of drawings by Jean Egan, principal photographer Tony Wood. 288 pages, 21x12 cm, produced with perfect binding. 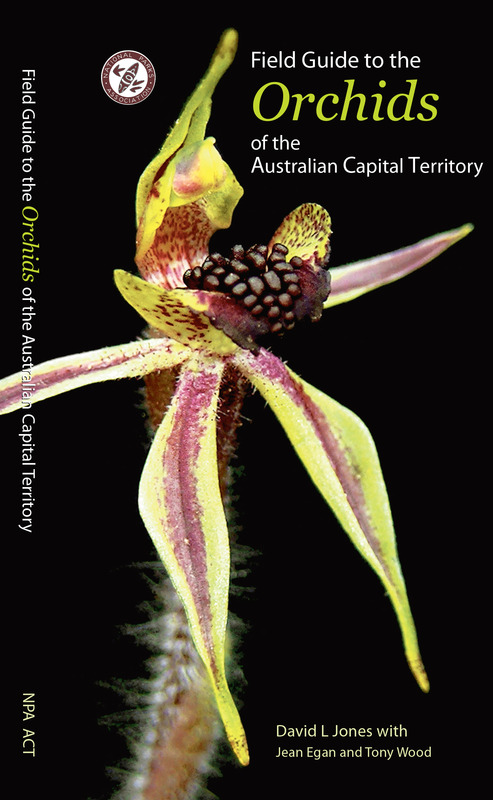 Principal author David Jones is a respected authority on Australian orchids. He has made a special study of the orchids of the local region, describing many new species. 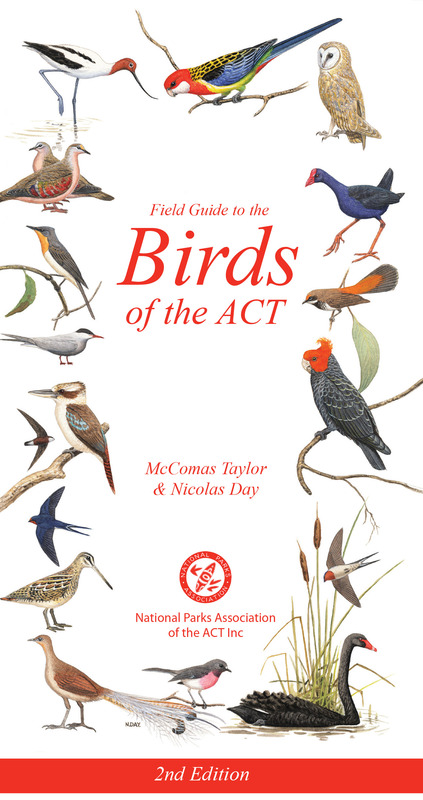 This book contains excellent colour photos, large botanical illustrations and full descriptions of the 121 species found in the ACT. 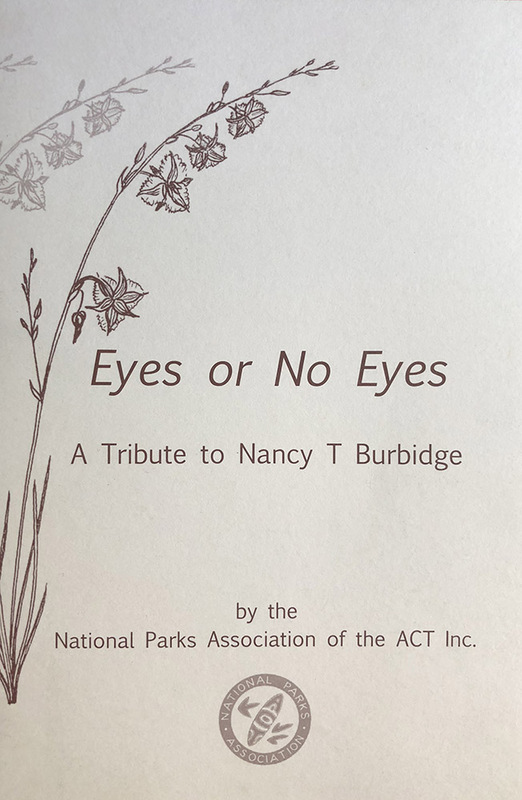 The book is a collection of of Nancy’s nature notes and line drawings of native plants that she prepared for publication in the early NPA Bulletins. This publication is a tribute to Nancy’s dedication and to all the volunteers who have contributed to NPA ACT during its 50 years. It is also a tribute to the beautiful and varied native plants of the ACT. Contributors: Christine Goonrey, Clive Hurlstone, Max Lawrence, Sonja Lenz,Kevin McCue, Adrienne Nicholson. 92 pages, 29 x 24 cm, a size to fit on every coffee-table. Produced with perfect binding. 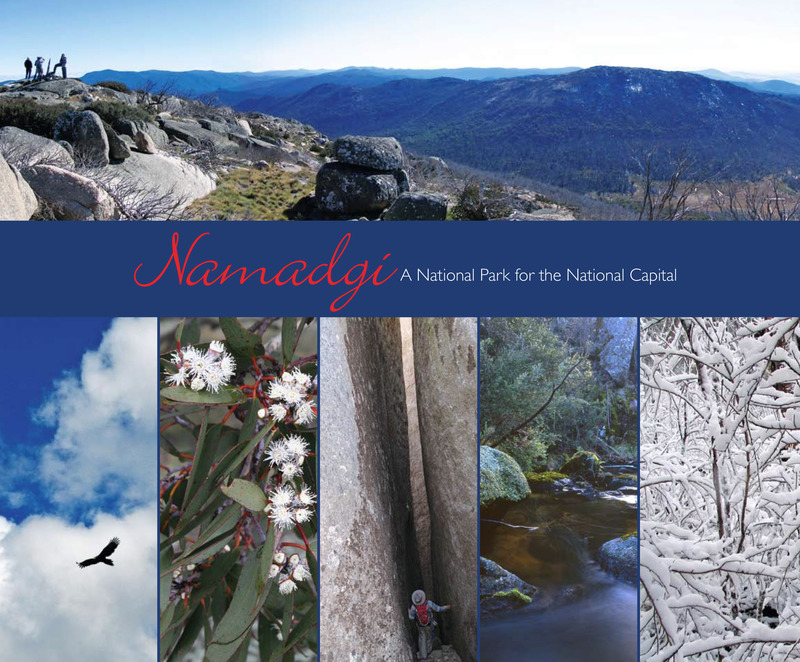 A glossy book featuring some great photography produced almost exclusively by NPA members.